Who says you have to head to the beach for spring break? From where we're sitting, this time of the year is prime for the best skiing of the season. 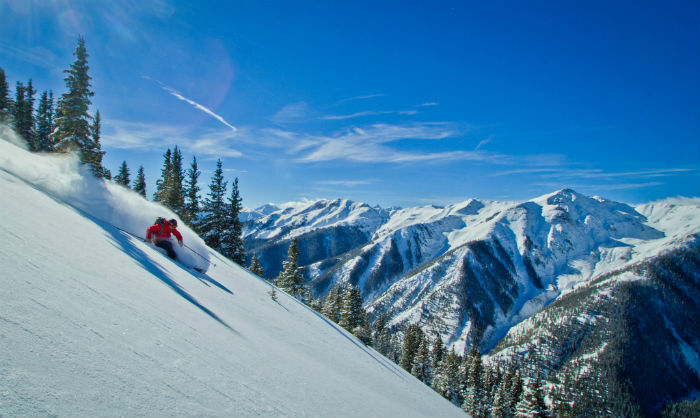 Check out a few of our favorite ski destinations below. Who says you have to head to the beach for spring break? From where we're sitting, this time of the year is prime for the best skiing of the season. Check out a few of our favorite ski destinations below. Not only will you have access to fantastic skiing, but you will also experience some memorable adventures! 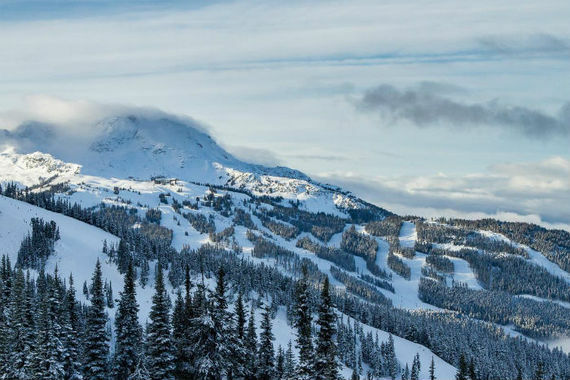 Whistler Blackcomb may be a bit farther than the other resorts on this list but trust us -- this mountain is worth the extra travel time. The snow is great, averaging 458" per year, and the mountains are huge. If you're more of a park rat, never fear; Whistler Blackcomb also flaunts five parks and a super pipe. The drinking age is 19 (but that doesn't mean you can shirk responsibility), public transportation almost runs around the clock, and you can freely enjoy events like this year's 18th Annual Showdown and After Party. 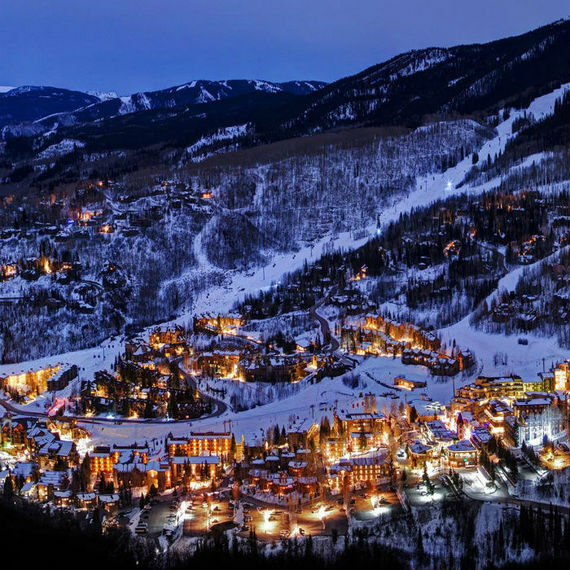 Aspen is your place if you're looking to rub elbows with the rich and the famous. That said, this tucked-away ski resort is more than glitz and glamour, offering access to four different resorts with fantastic views of the Elk Range: Snowmass, Aspen Mountain, Aspen Highlands and Buttermilk. The 15th Annual Bud Light Spring Jam will begin on March 13 this year, featuring two weeks filled with competitions, concerts and parties. All events are free and open to the public. Insider tip: Aspen can be pricey, so look to nearby Basalt or Glenwood Springs for cheaper accommodations. If you subscribe to the notion that bigger is always better, than Big Sky is your jam. Coined "America's Biggest Skiing," Big Sky became the largest mega resort in the country after the purchase of nearby Moonlight Basin and Spanish Peaks last season. Boasting 5,750 rideable acres and 4,350 feet of vertical drop, Big Sky is definitely the big kid of the west. Of course, their 400"+ of snow each season doesn't hurt. View Big Sky Resort lift tickets. No-frills skiers rave about Grand Targhee for its copious amounts of snow (500" per year) and family-friendly environment. Located an hour away from the more-famous Jackson Hole, Grand Targhee targets budget-minded individuals who are more interested in the snow than the social scene. The resort focuses on the details, producing a daily trail map that itemizes daily grooming reports, weather, snow conditions and more. And, with hard-charging cliff bands for experts and basic beginner runs for those learning, there is plenty for everyone. 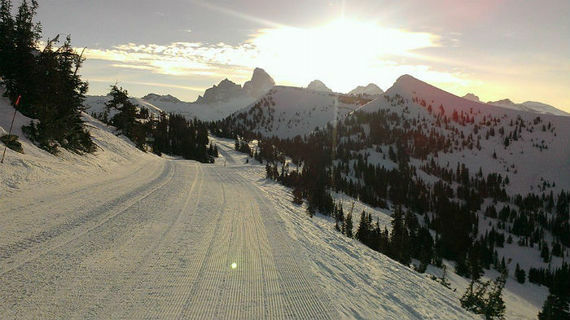 View Grand Targhee lift tickets. Let's make this clear: if you are a beginner testing out your newly-acquired ski legs, Silverton is not for you. With zero groomers and advanced/expert terrain only, Silverton is difficult. However, it is a fantastic mountain to find backcountry adventure if you know what you are doing. One lift serves the entire hill, and riders are required to have all of the necessary avalanche safety gear. Unguided, guided and heli tours are all options and skiers can expect 3-6 runs per day (with roughly 10,000 feet of vertical). Silverton is not for the faint of heart, but if you can hack it, add it to your upcoming travel plans.